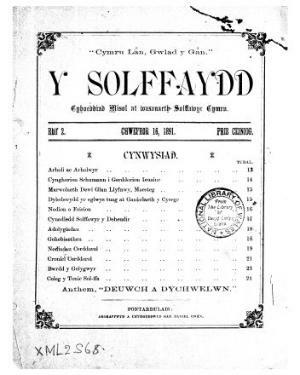 A monthly Welsh language music periodical intended for tonic sol-fa classes. The periodical's main contents were articles on music and musicians, reports of the activities of the classes and reviews, with a piece of tonic sol-fa music included with most issues as a supplement. The periodical was edited by R. Lloyd Jones (Llwydmor) and Tom Price (1827-1925).